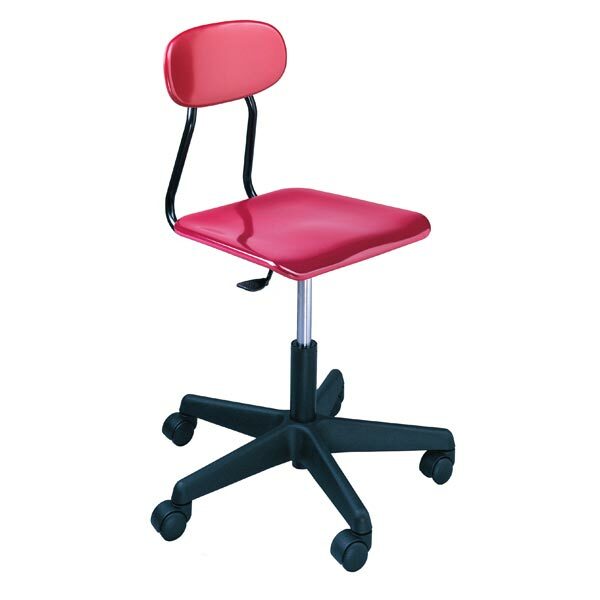 Scholar Crafts 190 Series Solid-Plastic Wheeled Star Chair is a great choice in a computer lab or as a teachers chair. The 5/8" solid-plastic seat and back material resists chipping, scratching and fading and cleans easily. Ergonomic design adds comfort and lumbar support while it promotes good posture. The strong, steel frame makes it extremely durable. A pneumatic lift mechanism lets you change seat height, and a swivel base with casters makes it easy to adjust to the best working position. Available in a variety of contemporary colors.